Jack Davenport is in the trailer, though. And in Mr. Dormandy’s picture gallery, in the elevator with Kenneth Branagh. So let’s not whinge complain. Click the pic to get to the official website, which looks really neat and stylish, plus offers interesting content. Two thumbs up! It would have been three if there was a wallpaper of Mr. Twatt. Really – we’d found a third thumb somewhere. Ah, I just see poor Mr. Twatt got stuck in the elevator… no problem. We’ve freed him! Alan Freed, hah! 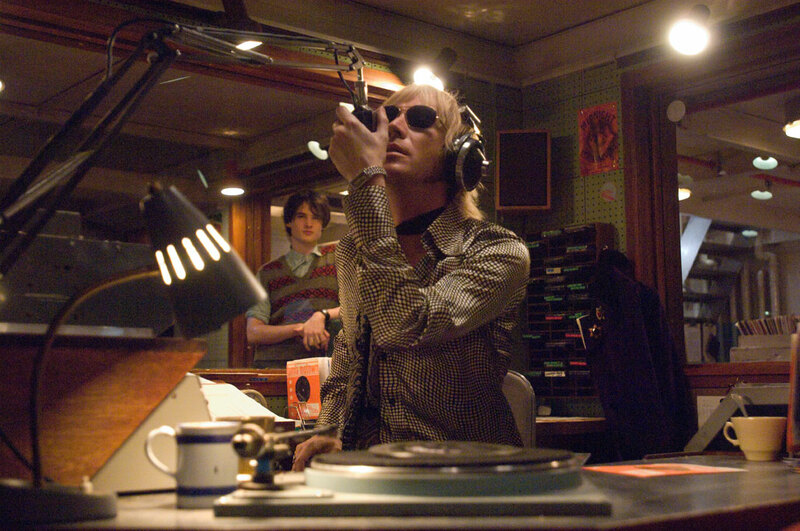 RADIO CAROLINE PRESENTS: THE BOAT THAT ROCKED EXCLUSIVE! So you can stop asking – but please note: no guarantee whatsoever for the correctness of these dates! Hah! 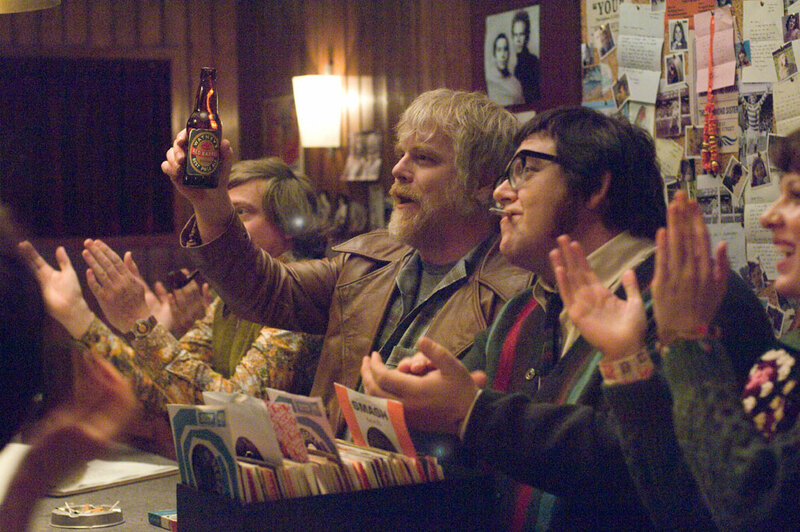 “The Boat That Rocked” – Rude!Trailer. And an event tip – cheers, BBC! If a trailer is considered too rude to be up on a decent site, you can bet your arse backside it will be up on mine. Nick Frost, I herewith forgive you the sock-incident. We’re on the same sheet here. Pirate BBC Essex 729, 765 & 1530MW – the ship is coming in! “The Boat That Rocked”: FINALLY some Jack Davenport! finally some scenes with Jack Davenport. About friggin’ time! He looks like Agent Smith in “The Matrix”, which is A Very Good Thing. Hugo Weaving was the only reason why I suffered through “Matrix 2: The Fail” and “Matrix 3: The Failship”. Kenneth Branagh and Jack Davenport in “The Boat That Rocks”. If you take your envelope with you, they can tell you exactly how many coupons you’ll need to send along. Same procedure for every other country outside of the UK. Jackdavenport dot net, once a dedicated fansite with pictures and information galore, is no more, as most of you know (well, you wouldn’t be here, otherwise). If you still have a link to jackdavenport dot net up on your site or blog in the hope that the old site might return: now’s the time to take it down. Don’t give them hits, don’t help them make money.